The Old Ground Hotel, probably the best-known hotel in Ennis Co Clare, sits on the corner of O’Connell Street and Station Road, across from the Cathedral of Saint Peter and Saint Paul. The name is curious and always leads to questions from visitors. According to records, the original house at the Old Ground Hotel was first built in the 18th century as a private house by Barry Upton and John Dwyer. Mahon then sold it to a John Petty in 1875. Dr William Hynes was living in the house by 1886. Jane McNamara acquired it around 1895, and she turned the house into an hotel. The death of FW McNamara, owner of the Old Ground, is reported in the Limerick Chronicle in April 1915. The Easter Rising passed off in 1916 without much note in Clare and was even condemned as being misguided by church leaders. But a year later, in 1917, the Old Ground played an interesting role in events at the beginning of the War of Independence. Major Willie Redmond, MP for East Clare and son of John Redmond, was killed in action on the Western Front on 7 June 1917. He was leading the Royal Irish Brigade to victory at the Battle of Messines Ridge at Ypres, during World War I. A by-election was called to fill the vacant seat, and it was hotly contested by Eamon de Valera, the Sinn Fein candidate, and Patrick Lynch of the Irish Party. At a meeting in the Clare Hotel, Sinn Fein discussed possible candidates and the majority presnt initially voted in favour of Peadar Clancy from Cranny, who had taken part in the Easter Rising and whose sentence of death had been commuted to 10 years penal servitude. However, a convention was called in the Old Ground Hotel on 14 July 1917. Over 200 delegates present focused on the emerging candidate, Eamon de Valera, who had recently been released from prison. Peadar Clancy and three other candidates withdrew, leaving the way clear for de Valera. The McNamaras still owned the Old Ground in 1920. 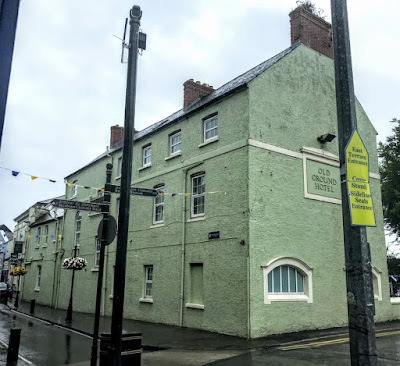 They had been staunch nationalists and staunch Parnellites and later became supporters of Sinn Fein, which used the Old Ground as campaign headquarters from 1917 and as a meeting place for the IRA. Much of the hotel’s contents were burned by the ‘Black and Tans’ during martial law in Ennis in June 1921. By then, Jane McNamara was 85, blind and in very poor health, see below. After that, the place had a chequered history, the bank acquired it and in 1927 it was bought from by James O’Regan for about £2,000. He had been on a family holiday in Italy that year wanted to acquire the neighbouring garage to establish a Fiat agency. At the time the hotel was closed, but the only way to secure possession of the garage was to buy the Old Ground Hotel as well. Ten years later, with the advent of scheduled transatlantic flights into Shannon Airport, an extension was built onto the manor house in 1946. The lounge beside the old reception area, known as the Blue Lounge, was a communal room for Trans Atlantic Airlines. The cocktail bar was where the reception area is now and was used by Pan Am. Meals were served throughout the night. The local historian Bill Bluett (1909-1993) made a short film, An Tostal, in the late 1940s, with footage of the very first American coach tour arriving at the Old Ground Hotel. The O’Regan family sold the hotel to Kingston Windsor Hotels in 1967 and it was later acquired by Strand Hotels in 1970. It again changed ownership in 1977, when it was incorporated into the Forte Group. 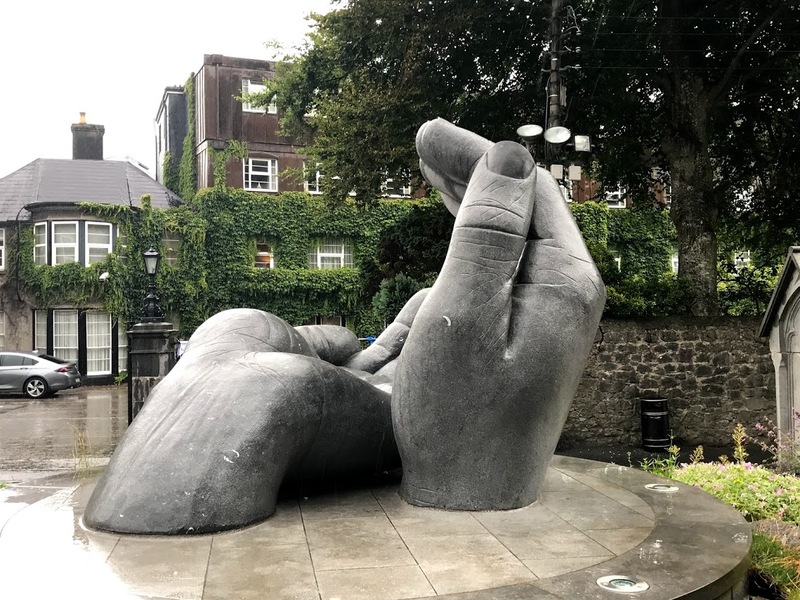 It was bought by Allen Flynn in 1995 and is now part of the Flynn Hotel Group. 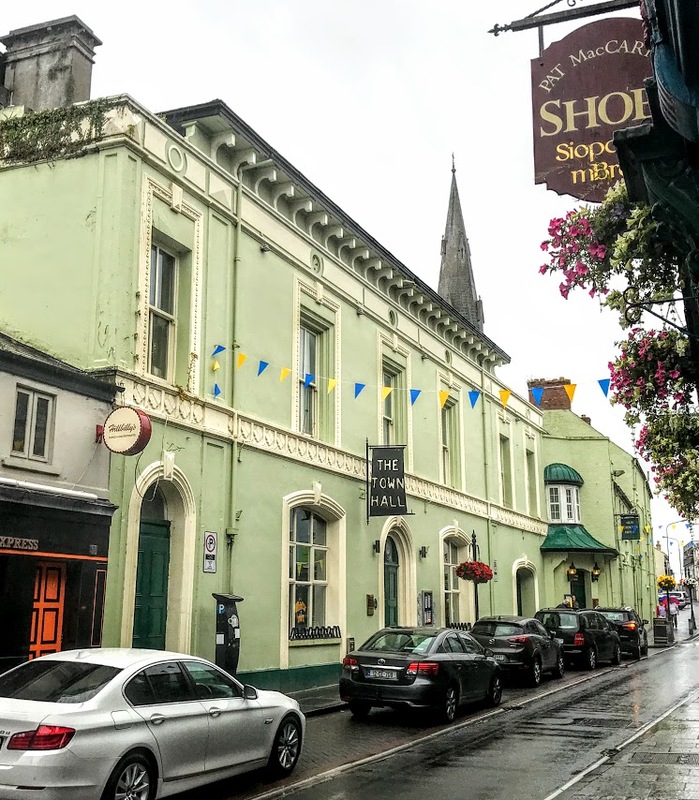 Part of the Old Ground Hotel facing onto O’Connell Street is a five-bay, two-storey former town hall, built around 1850, and is now in use as the hotel banqueting hall. The O’Regan family owned a large house in Bindon Street, and swapped it with the town commissioners in 1963 for the Town Hall. The upper floor of the Town Hall is now the Banquet Suite. The part of the hotel that is now the now Town Hall Bistro once incorporated a jail. The former town gaol was built around 1700, probably incorporating fabric of an earlier building. It now has a vaulted ceiling and forms part of the hotel complex. The jail was refurbished in the 1770s to provide separate cells and day rooms for male and female prisoners, and was used later to hold prisoners in transit, waiting to be deported to Australia and Tasmania. It is not known when the jail ceased being used like this, but in the mid-19th century it was rented by the Grand Jury, the Victorian equivalent of the county council, at a rent of one shilling. Ennis was the first town to adopt the 1855 Public Library (Ireland) Act, and the former jail was used as a library and as a court house and as a library once again. But when the library closed and moved to new premises, the Town Commissioners sold the building to the O’Regan family business. The fireplace in the Lemenagh Hall, formerly the jail, was built for Lemenagh Castle, and Conor O’Brien in 1553. It was given to the Old Ground by Gerard McDonagh of Dromoland Castle in 1902, on the understanding that if Lemenagh Castle is ever restored the fireplace is to be returned. The Lemenagh Hall is contained in what appears to be an authentic mediaeval Tower House. Most of the original stone from the tower is now blocked up by modern alterations, but some remaining large limestone blocks are still visible and form the wall on the main stairs to the function room.